I got the Ooma device 3 days ago and my Ooma setup does not seem to be right. Without the land line connection, my Ooma device goes red and there is no dial tone. The internet is working. As soon as the land line is hooked back up, the device goes blue. I have tried powering down the device and restarting it. 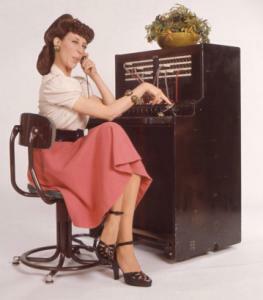 Without land line connection, there is no dial tone. Just as background, phone land line is a traditional POTs line. Internet is via Cable modem. Phone line connected to wall port and phone is connected to phone port. All calls seems to be using my landline. My call log on the website also shows all calls tagged to the land line. If that is the case the Ooma device is not doing its job and there is no practical use. Any help in resolving this is appreciated. I have been through atleast 3 different support sessions to resolve my issue. If I cannot resolve this, I may have to return the device back to the retailer I bought it from. It looks like you chose to setup ooma WITH a landline. This means that ooma will make all local calls on your landline and all long distance calls on ooma. All incoming calls will be via your landline. If you chose ooma WITHOUT a landline then ooma would make all calls local and long distance and all incoming. WayneDsr wrote: It looks like you chose to setup ooma WITH a landline. I get the Ooma dial tone only when the device is hooked up to the landline. Yes I choose to use the Ooma with a landline. You had mentioned that local calls go through regular landline and long distance go through Ooma. Then without the landline connected, I should be able to make the long distance calls. I don't even get a dial tone without the land line connected. Why is Ooma not using the internet connection and giving me a dial tone? What if my phone line is cut for some reason, then I would expect the calls to be made through the Ooma via internet. That is the way ooma works when you get ooma WITH a landline. If you want to use ooma only, then you need to call Customer Support and they will change it for you. That's the way I have it. My landline (on a basic service with DSL) is totally separate from ooma. ooma makes all the calls. Landline is in another wall jack, totally separate.